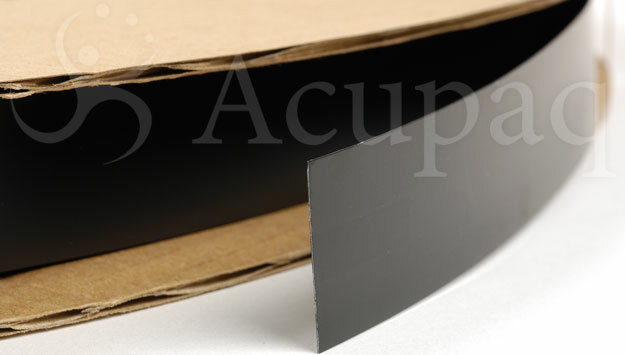 swiftTape is Acupaq’s own brand carrier tape, predominantly for low volume, quick turnaround requirements. swiftTape utilises a proprietary process that creates the capability to produce over 1.4 million pocket sizes without the need for tooling. With rapid set up times, your swiftTape could be leaving our facility within 24 hours. swiftTape is constantly evolving with greater capability that is extending the range of pocket sizes and designs that can be produced. The values presented for this product are typical laboratory data and may be changed without notice. While our online ordering facility is in it’s final phase of implementation, please contact your Acupaq representative or e-mail info@acupaq.com in order to enter your order. We will need pocket dimensions, quantity and whether a 22” or 13” reel is required. Acupaq will then send you a proof drawing. When you are happy with the proof drawing, we ask you to sign and return. Your order will be ready to ship within a maximum of 10 working days from receipt of the signed proof and an official purchase order (a slight delay may be applicable if a new account is required). Acupaq is also making the equipment available for purchase by those wishing to produce their own tapes. If this is of interest, please contact info@acupaq.com and we shall respond immediately to your enquiry.